Congratulations go to Ryan on a great drive. As a result after taking his driving lessons in Paisley, Renfrewshire, passed with only 2 minor faults. 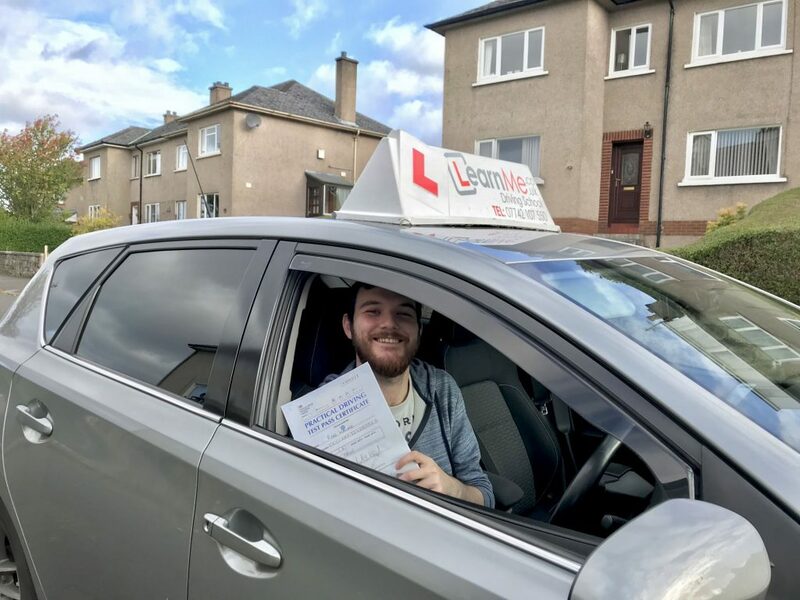 Ryan, from Glenburn area of Paisley, took his driving tuition around the Paisley, Elderslie, Johnstone and Linwood areas of Renfrewshire. Always a pleasure to be alongside in the car on lessons. I therefore wish you all the best and safe driving in the future. If looking to learn to drive with a local instructor, then call, txt Ricky on 07742107550 or fill in the webform on the site of Learn Me Driving School.